Take your children for an afternoon immersed in the Flagstaff terrain, and watch them challenge themselves physically and mentally. 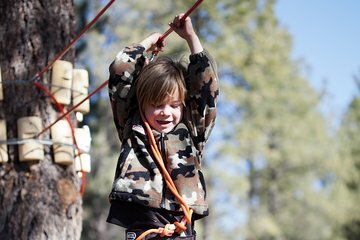 Get a full 2 hours at Flagstaff Extreme in Fort Tuthill County Park, which features both kids’ and adults’ adventure courses through the trees. This unique outdoor experience allows your kids a safe, exciting obstacle course at their level.